Genes fertility institute ⁄ Blog ⁄ Doctors ⁄ Dr. Fernando Rodriguez, Ph.D., T.S. About Dr. Fernando Rodriguez, Ph.D., T.S. Dr. Fernando Rodriguez is Director of the Andrology and Assisted Reproductive Technologies (ART) laboratories of GENES fertility institute. 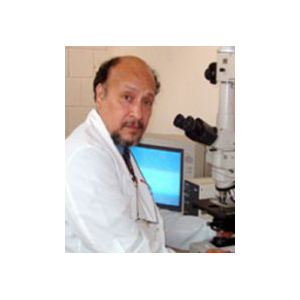 Dr. Rodriguez is a Clinical Andrologist and a specialist in Embryology and Reproductive Physiology. Bachelor of Animal Science, College of Agriculture, Ciudad Juarez, Chihuahua, Mexico, 1978. Master of Science (MS) in Reproductive Physiology from Sul Ross State University, Alpine, Texas, 1984. Doctor of Philosophy (Ph.D.) in Reproductive Physiology from New Mexico State University, Las Cruces, New Mexico, 1988. Post-doctoral fellow with the Department of Agriculture of the U.S. (USDA-ARS) at the Experimental Station in Dubois, Idaho, concentrating his training and research work in the study of the physiological mechanisms that limit fertilization of gametes (eggs and sperm) In vivo and in vitro, 1988-1992. Scientific and Laboratory Director of Chapel Hill Fertility Center in Chapel Hill, North Carolina,-1992-2002. Board Certified by the American Board of Bioanalysis (ABB) as Clinical Andrologist (specialist in assessment and treatment of sperm disorders and male infertility), 1993-present. Professor and Director of the Department of Physiology and Pathology, and Research Coordinator of the School of Medicine San Juan Bautista, Caguas, Puerto Rico, 2003-2005. Currently serves as Professor in the Division of Continuing Education and Professional Studies (DECEP), University of Puerto Rico, Rio Piedras Campus, offering the lecture of Physiology and Anatomy of the human reproductive system and sexuality, 2004-present. Professional background spans over 20 years’ experience in short and long term consulting assignments in educational and private projects in USA, Mexico, Argentina, Chile, Barbados (USDA-AID), Trinidad & Tobago, and Puerto Rico.